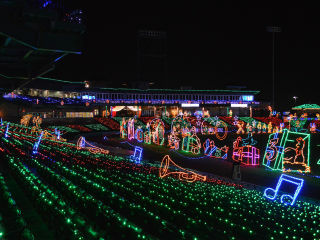 The fourth annual Sugar Land Holiday Lights will feature over 100 walkthrough displays and 2.5 million lights throughout the ballpark. This year will also feature a number of exciting additions including a carnival outside the ballpark, new theme nights, and more. Santa Claus will also be available each night along with a variety of food trucks and children’s activities.